The first half of this movie is really funny. Acting is super. I had a few problems with the characterisation. Would have been better, if there wasn't a forced story for every couple. The first half is hil-larious! There are really funny lines and situations in the second half too, but the compulsion to have a story breaks the flow. Nevertheless, all the laughs were the perfect medicine for my horrible cold. Yeah-yeah, I know my illness was not on their mind when they were making the movie, just thought I’d let you know because I felt like it. Just like, the writer threw in special effects, or her stand on social issues. Comedies like these bring out the dependencies between the dialogues and the comic timing. The great performances wouldn’t mean anything without the witty lines. And as always, funny lines cannot tickle you if they are not delivered right. Someone please tell me, why don’t real radio jockeys speak this sensibly? It’s the serious parts (mostly in the first half hour after interval) where things drag. They do not gel with the general tone at all. The side-side story of the driver is out of place too. And the preachy tone in the end – Why? Why?? Why??? Also, why does the screenplay slacken in the second half. Acting by one and all is exactly what their characters demand. Yes, even Amisha Patel! When I first heard that she was playing a loud character, I was dreading the time I would see this movie. But, her restraint comes as a pleasant surprise. There are too many artistes to name them all here, but everyone has done their roles full justice. And so have the costumes of at least some of the people. I was really kicked by how the geek was almost always dressed in a solid-colored collared T-shirt. Most of the characters and their idiosyncrasies were dealt a fair hand. I especially liked how the sexual orientation of some of the characters was handled sans the usual snickers associated with such issues in Hindi movies. A whole range of honeymooners is covered here, from the chauvinist who is more interested in photography than his wife to the couple who had no use for a camera, from the arranged marriage to the love marriages. While most characters are consistent, there are a few that leave you with questions. Since, discussing these would give out a little more than I like, check out the details section (spoilers there!). The songs look better than they sound. They are the kind that grow on you because you have seen them. The choreography of “pyar ki ek kahaani” is absolutely breathtaking. This movie has a very Hrishikesh Mukherjee feel to it. And that says a lot coming from a huge Hrishi-da fan. This is certainly the kind of light movie we needed after a series of serious movies we have seen in the last four weeks. If only, Reema Kagti had not worried so much about trying to squeeze in an actual story for every couple. Twelve newly-weds have booked their first trip as a married couple to Goa through Honeymoon Travels Pvt. Ltd. Their individual stories, the romance and sometimes the lack thereof is all handled mostly in the lighter vein. The parachute scene - it was shot very well. Radio Mirchi's announcer - since it is laced with good dialogue, it doesn't annoy like most product placement does. The situation in which Aspi (Abhay Deol) and Zara (Minissha Lamba) meet. The way it is narrated is very comical. The whole Nahid (Shabana Azmi)-Oscar (Boman Irani) track. It was a "sooo sweeeet" realtionship. The scene in which Partho (Kay Kay Menon) gets drunk. Real and funny. Pinky (Amisha Patel) and her annoying blabber-mouth. And the reactions people listening to her had. Some of her lines kept me in splits for some time after the movie was over. Just because this list is long doesn't mean I have to hate the movie. My overall rating indicates the general feeling I have while leaving the theatre. There can still be things that I did not like. 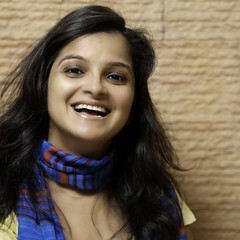 The character inconsistency in Madhu's character played by Sandhya Mridul. What exactly made her change from a simple girl-next-door to a girl who dresses and behaves liberally? Also why exactly did she not want a divorce, what was in it for her? Also Partho and Milly (Raima Sen) somehow don't seem real. If Partho is conservative he could never have let Milly get away with whatever she was doing. And if Milly was really so free-spirited, she could never have been dominated. I won't talk about how. I don't think they could be attracted to each other given their base characters because what attracts one person to the other is I think not definable. Ok, enough philosophy! The stand on why women should not be forced to wear a sari and how it is okay to elope when you are in love. This was not the right forum. The driver's dark character. Please don't tell me his character existed only so Nahid (Shabana Azmi) could give a speech. Shilpa's (Dia Mirza) reappearance - absolutely unnecessary. Again, I suspect it was to drill in the point that lovers should not be forced apart. Did Aspi get bubble soap from a toy store so that he could blow bubbles on his wife while she was sleeping? Then again, that could be a geek's style of romance! Why did the super-hero have to disappear? What actual business was he conducting? The foreigner saw the super-hero, right? So, what was the super-hero doing? Why was Shabana Azmi crying in the bathroom? mehak, I loved the part that it had no particular story in mind. In fact, I did not like the bit where they tried to put a story in forcibly for each couple. abhilah has posted 1 comments and has rated 0 movies. See abhilah's page for more details. tiya agrawal has posted 1 comments and has rated 0 movies. See tiya agrawal's page for more details.